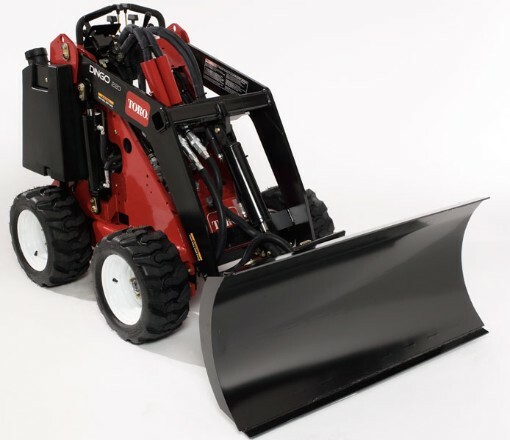 Looking to rent a utility blade attachment for the Toro Dingo in Rochester NY, Ithaca NY and Western New York? The Utility Blade Attachment is a widely respected Tool Rental item. Excellent for earth moving and snow moving applications. Notably, the attachment blade is adjustable to a wide range of angles including up & down, left & right. Blade: 7 gauge welded blade assembly.